Biotic Tomatoes are Super Foods Times Ten! What kind of food plan do you follow? I have a diverse group of people who subscribe and are members of my site. 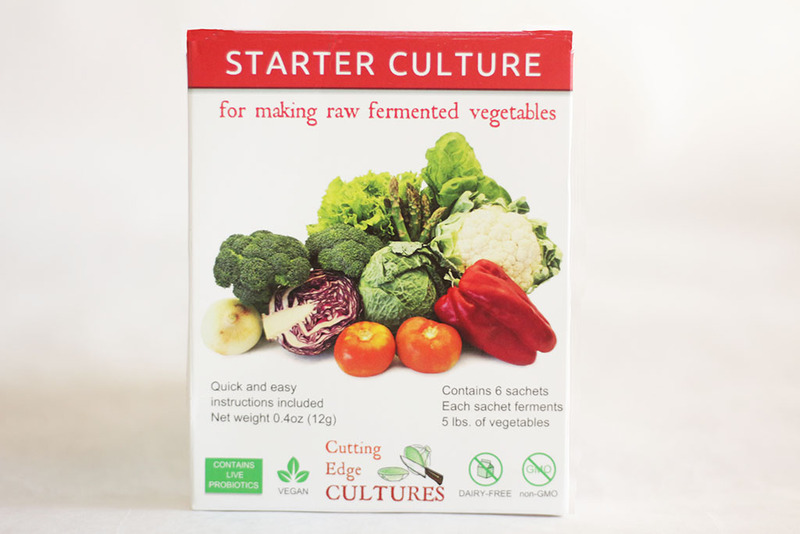 They have very different diets but are adding cultured foods to enhance what they’re doing. 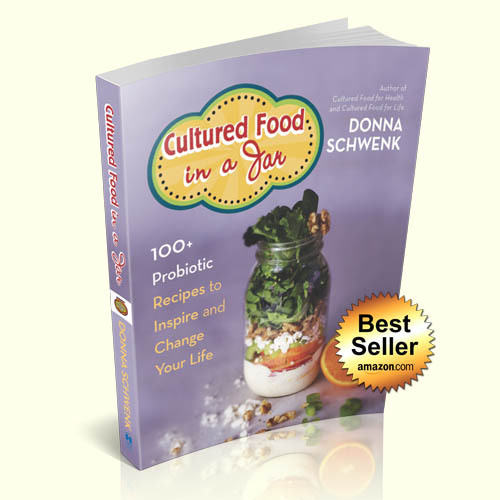 I’ve discovered that consuming cultured foods is one of the keys to living an incredibly healthy life. Not only have I experienced this, but others are recognizing this as well. Reading books is my favorite hobby. 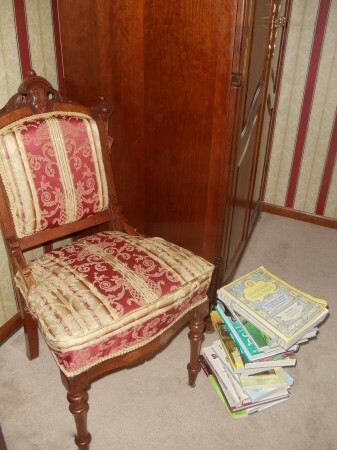 I have stacks and stacks of books in my house on health and wellness. For years and years, I was on a never-ending search to find the key to positive health and wellness. I researched and experimented with literally every diet out there. Many years ago, I remembered reading that the Japanese had a very high life expectancy and were one of the healthiest groups of people. I tried to replicate their diet with disastrous results. I didn’t understand the key components. I thought it was the soy in their diet and started consuming tons of it. Soy milk, soy proteins and soy legumes. Soy foods contain natural plant compounds (called isoflavones) that appear to work like hormones, and what I found during those few months I was consuming soy was that my thyroid slowed down. When I eliminated the soy, my thyroid returned to its normal state. Years later, I found out that the Japanese mostly eat fermented soy. This eliminates all of the problems in un-fermented soy. After years of study and trying so many different diets, I discovered that if I ate real, whole foods and added cultured foods to my diet, everything got better. 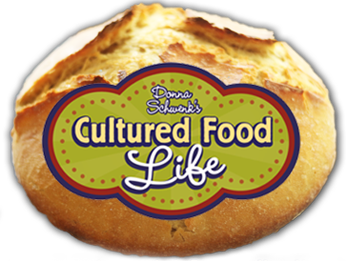 We are all so different – I never want to tell someone that they have to eat exactly as I do, but I am happy to tell you that cultured foods fit into any diet. It can be raw, Paleo, vegetarian, you name it. These foods can help everybody by enhancing any diet. Michael Pollan, who has written many wonderful books on food and diet, suggested that a lack of fermented foods is one of the most notable differences between the Western diet and all other successful diets throughout history. This is something I, too, have found. 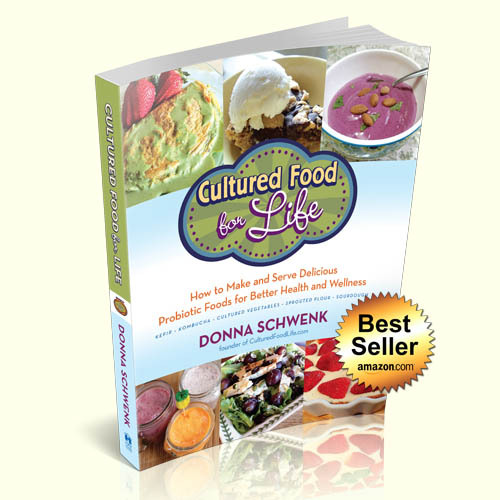 Throughout many of the healthy diets in the world, cultured foods were a must and consumed every day. These diets were diverse, but each of them have had their own unique cultured foods, often being consumed at every meal. I consume cultured foods every day and have found that if I don’t, I suffer with food cravings, digestion problems, addictions, joint pain, and I just don’t feel like myself. Cultured foods are my personal trainers. 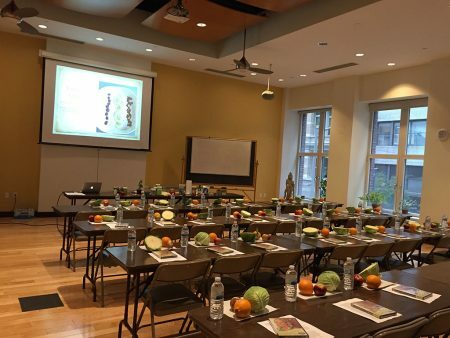 They have taught me what to eat and how to experience wellness day to day. 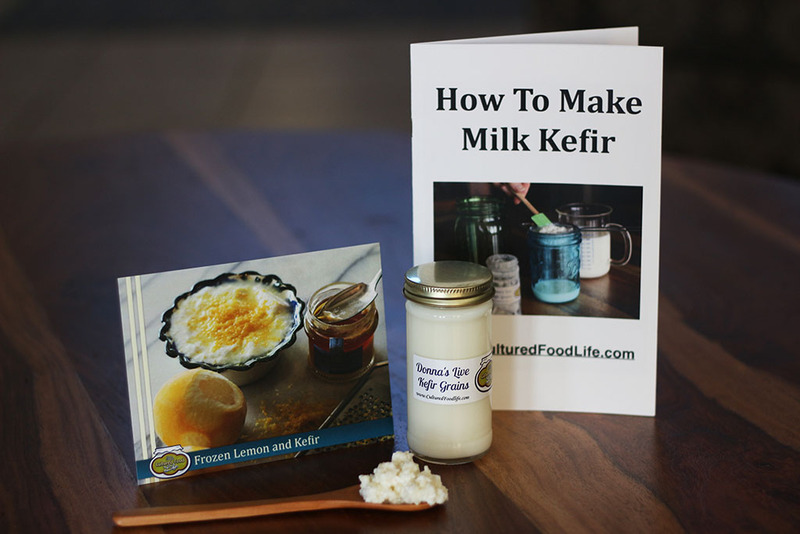 I have also found that if I eat The Trilogy (kefir, kombucha, and cultured vegetables) as a meal, I can go many, many hours and not be hungry. It’s like putting high octane fuel in my tank and it seems to work incredibly well for me. Most days I do this before noon, and it is one of my secrets for being more productive and more energetic every day. You can make all kinds of cultured foods to add to your diet, but what I eat quite often is cultured tomato dishes. The dish that follows is super easy and one I serve a lot at my cultured food classes. 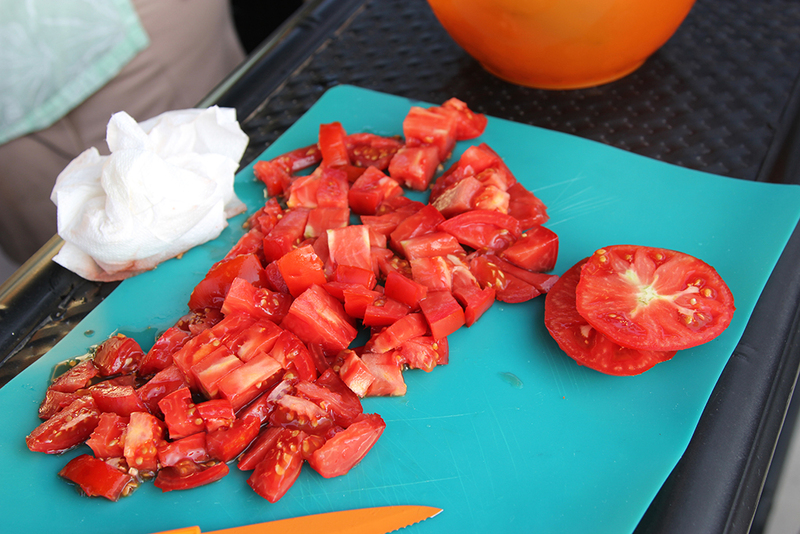 Tomatoes are super foods all by themselves, but when you ferment them, they become a Biotic Super Food – times ten! Adding just a spoonful at a meal will help you digest your meal and you’ll receive more nutrients from the foods you consume with it. 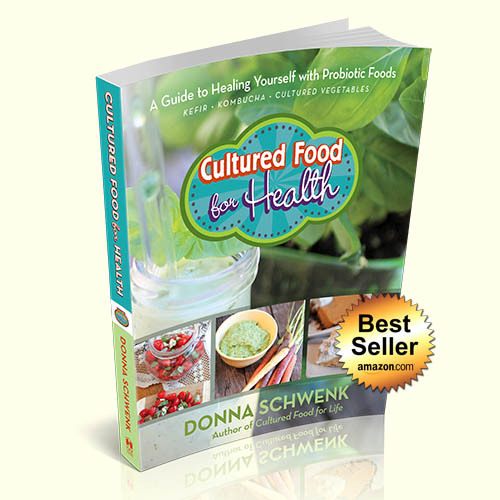 You will receive a lot of benefits from a couple spoonfuls – this is how cultured foods work. They have billions of probiotics in them and they are anxious to do their job. They’ll help you receive more benefits from your food than you would ever have without them. You can’t see these little microbes, but they know what to do and they are mighty, all 65,000,000+ of them! 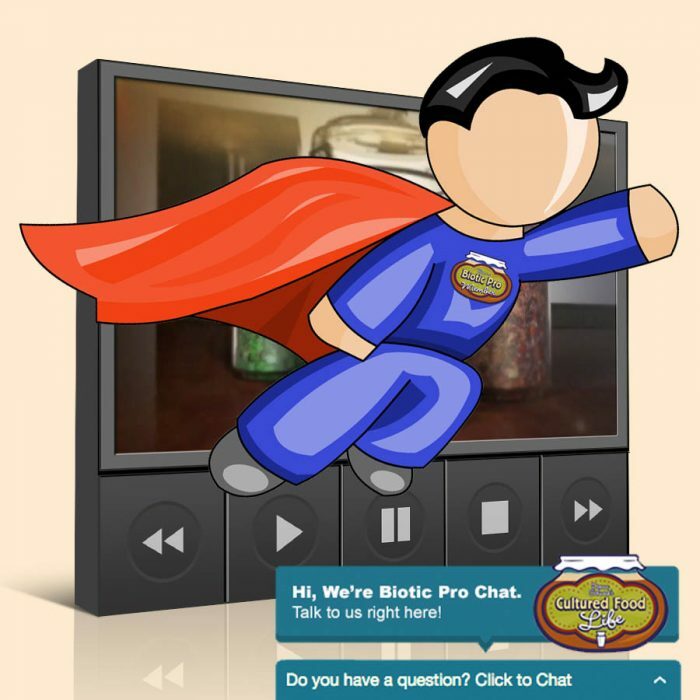 214 Responses to "Biotic Tomatoes are Super Foods Times Ten!" One more thing, do I drain the water off when they are ready and I am storing them in the refrigerator? Thanks so much Donna! Leave them stored in the water brine in the fridge. Many readers complain of mushy vegetables. I have been putting an oak leaf in each jar (if jar is big, I use 2). I keep a jar of oak leaves in salty water in my fridge to use when I need them. The oak leaf seems to keep the veggies crisp. Have you tried this? I have used this with pickles. Have you tried this with tomatoes? I put a leaf in for any vegetable, even tomatoes. Works fine. And it is easy. I pick the oak leaves as soon as they come out early in the spring so they are fresh. 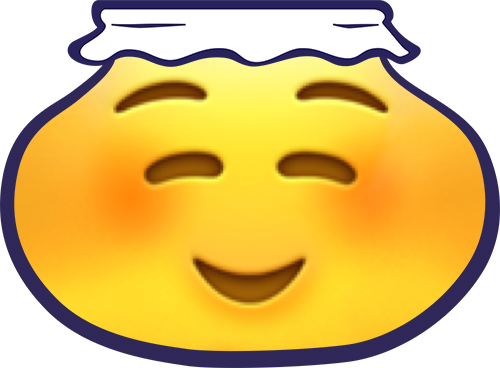 I have some fermented garlic in the fridge that I did approximately four months ago. Can I use that brine as my culture starter for this tomato basil brushcetta recipe? Thats really a longtime and you won’t have a lot of strength in your starter to make a new batch. 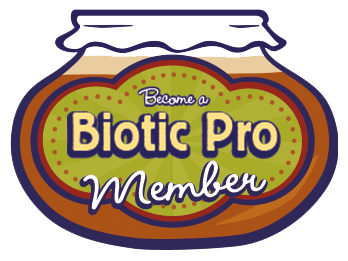 You can try it and see how it goes but you might not have as many probiotics since its been so long. Hello Donna… My last three batches of cultured veggies have all turned out really mushy and I’m trying to figure out why. 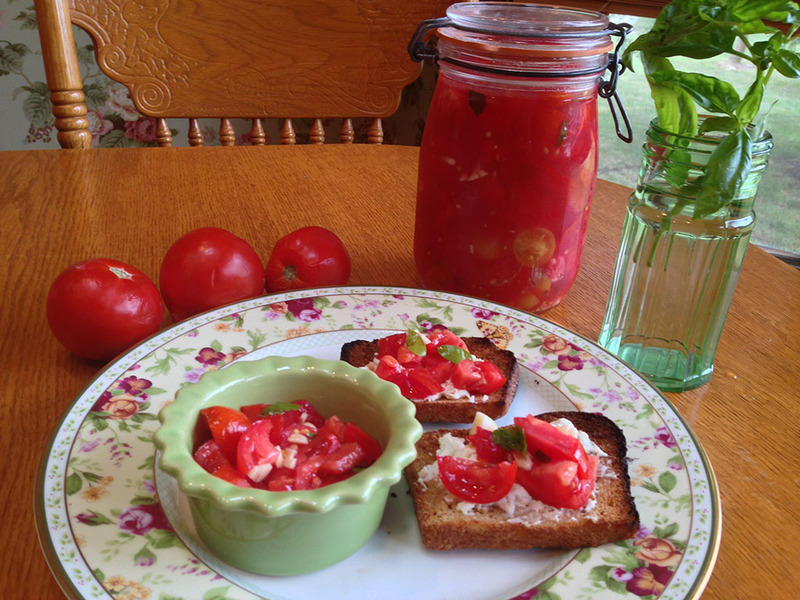 Can too many tomatoes be a problem for the lacto-fermentation getting a good start? I’ve made a much earlier batch with fewer tomatoes without a problem which is why I’m thinking that more tomatoes is causing this. Also, it’s been real cold here at night. Could low temps cause a problem with the “good” cultures getting a foothold? Because I don’t heat my house at night, my crock was at 62˚ the next morning after filling it the day before. The batch that turned out good (with fewer tomatoes) never fell below 74˚ usually staying between 76˚ – 78˚. This was because it was still warm here, now it’s much cooler. So, as you can see, I’m trying to figure out if it’s the lower temp or the increase of tomatoes. Are you using salt in your tomatoes? Tomatoes can get soft when fermented its because they are acidic. Yes I am. 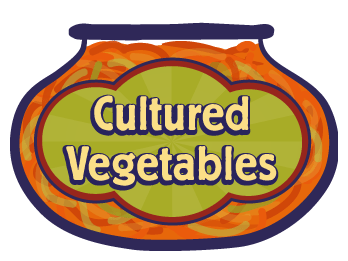 I guess I wasn’t clear enough in my previous post… This is a crock of cultured vegetables. Vegetables like cabbage, zucchini, onion, bell peppers, apples, AND tomatoes. You might not be adding enough salt and the cooler temperatures can take longer to ferment but they should not be mushy. Are you veggies fresh and how much salt are you adding to your crock and how big is your crock. Are you covering` them with water and using a lid on your crock? I have a 10 liter crock, the german kind with a lid that fits into a mote of water. Yes the veggies are fresh, or as fresh as they are at the store (and I am quite picky about which ones I buy). Before things started going wrong, I’ve always simply salted to taste and everything has always been just fine. Now, after reading a few books on the subject and trying to fix this problem, I’m using 1.5% of the weight of the veggies for the measurement of salt… 15 lbs veggies is 240 oz. 1.5% of 240 is 3.6 oz, so in two of the last three batches that went mushy I used this amount of salt, which made the veggies the saltiest I’ve ever made them, but still mushy after only 5 to 7 days in the crock. (remember, this is a weight measurement in ounces NOT a fluid ounces measurement) Before, I’ve always fermented them for 21 days and everything has always turned out great. The only things that have changed are: the increase in tomatoes and the decrease in temperature. There have been times when the veggies would swell and rise above the water. I’d discover this at day 7 when I would remove the lid for inspection, add water to cover by an inch and a half or so and cover, check again at day 14, then remove from crock on day 21 and place into quart canning jars and place them in the fridge for final storage. I’ve never had a problem with mold or anything else. I do use a culture. Tomatoes only like to be fermented 3 days so yes i think this might be the problem. 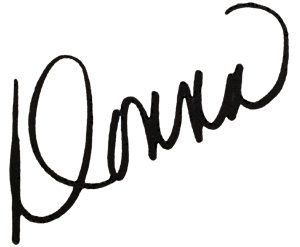 Hello Donna…I want to thank you in advance for your help and I appreciate all you do for everyone. 1. I have a 1.5 L picklet. Can I do this recipe in it instead of two quart jars? 2. if I can do in the 1.5L do I change the measurements of salt and whey? 3. Once my tomatoes are finished, can I keep reusing the same brine to make more tomatoes? 2. Yes you will need to change the measurements. 3. You need to use fresh whey each time you make a batch or the flavor gets really strong. I have only done veggie fermenting 2 times. I have a ton of tomatoes in the garden and we will be getting a frost soon. I want to ferment some of them but I don’t have a starter. I do have yogurt, though not homemade. Should I use some of the whey from that? 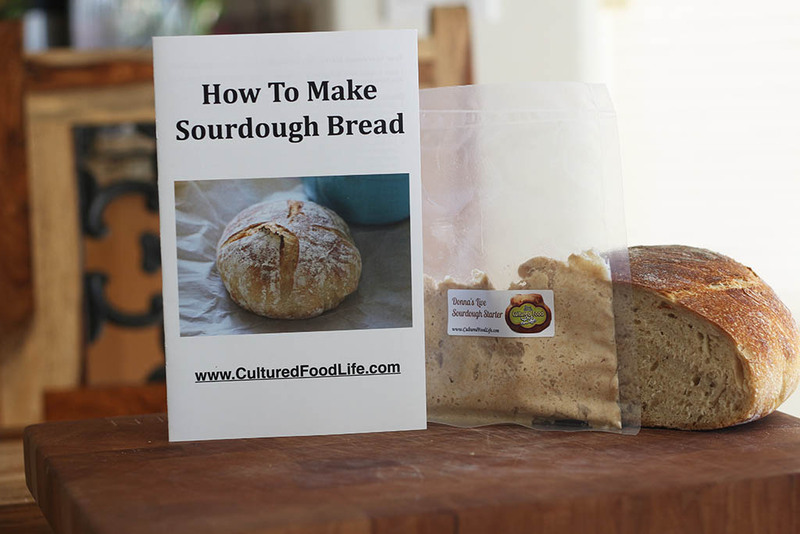 Is it save to ferment them without a culture? Thanks for your website. I am looking forward to trying out recipes and plan to buy your book when finances allow. As long as it has active cultures you ca do this. How loose was the lid? Not real loose. We didn’t tighten them too much so they would have room to expand. Then it should be okay, no worries then it should be fine. 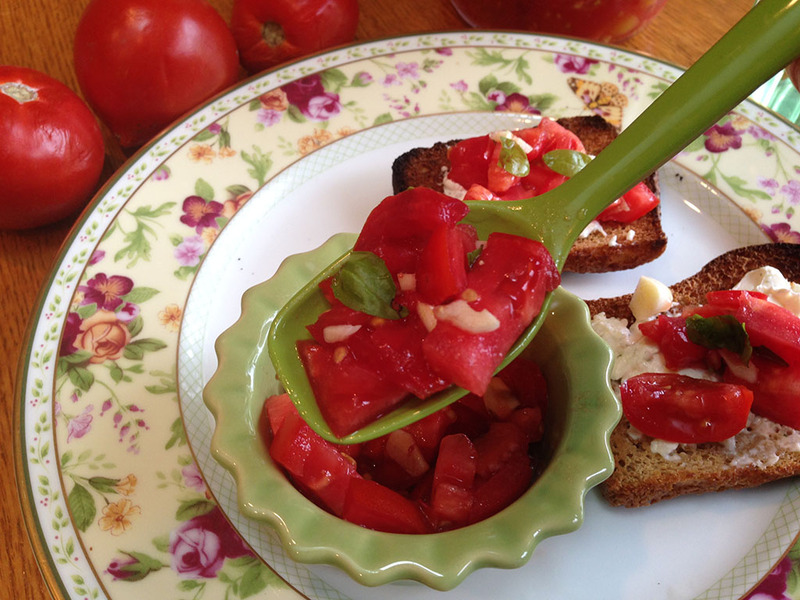 I made 12 quarts of this Tomato Bruscetta yesterday evening. 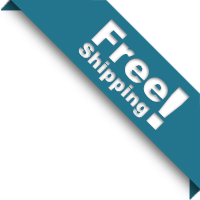 I used 1/2 packet of Caldwells culture per quart, which I purchased from you a month ago. It is almost 24 hours, and there is NO bubbling going on. Should I be seeing “something” going on in there? Please advise? I’m completely new to this. 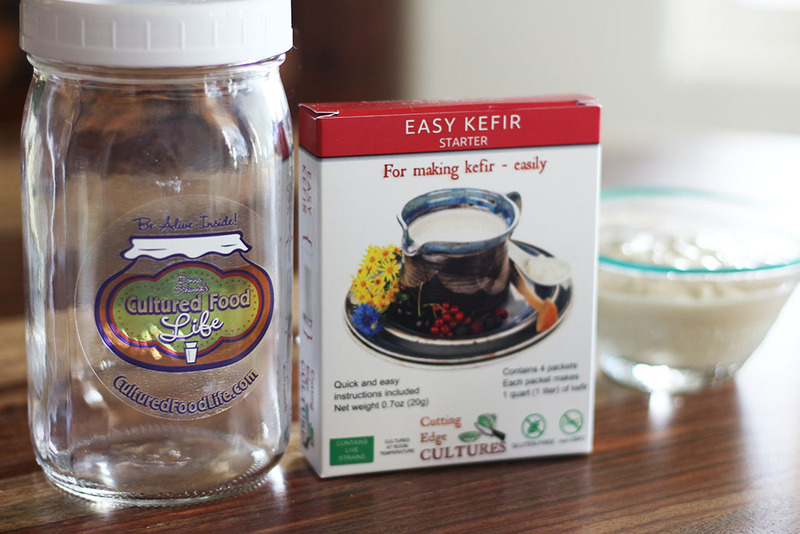 It’s my first time culturing using Caldwells, but have done yogurt & kefir for years. I sure hope all turns out good….it looks so pretty and SMELLS divine!! For some reason tomatoes don’t really bubble I think its because they are acidic but it will still work just fine but may not bubble. 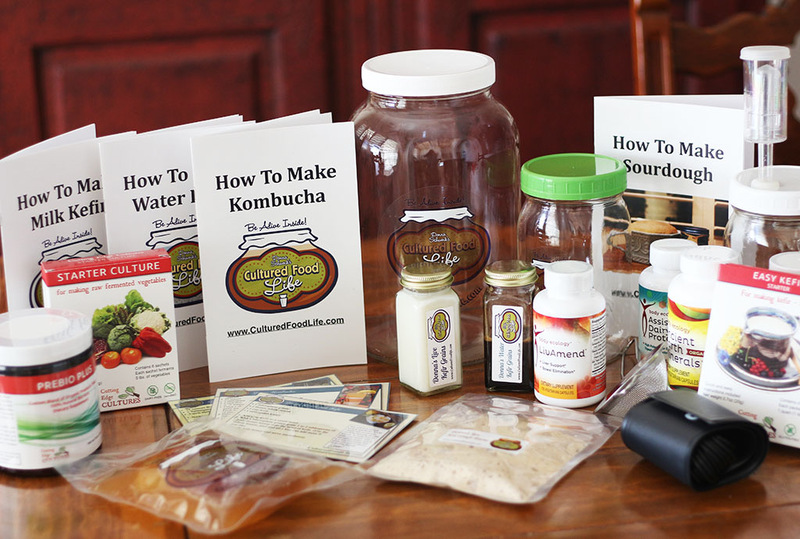 Could i substitute the Caldwells starter/kefir whey for water kefir? Please explain the ratio of water go tomatoes. Two quarts is 64 oz. Four medium tomatoes could vary widely on the weight. I want as much tomato goodness as possible. Can I fill my quart jars with seasoned tomato mix and top off with only 2 inches of water? You need to cover them with water is the only rule and you could try the tomato mix and it should work although I have never tried this. Let me know how it turns out. SO I mixed up a small batch of brusheta today and I thought I might have put in too much water as my tomatoes were swimming so to speak. About 7 hours later I poured off some of the water which was now tomato juice and smelled wonderful with the basil and the garlic. I decided to taste it to see how it was coming. Oh my, it was so delicious. The best tomato juice I have ever had. I think after my bruchetta is done I will have to drink the juice and start over. Now sure I can resist drinking it rather than reusing it. Just thought I would pass this on. Thanks for such a great recipe. You can add fruit after the first fermentation not refrigeration before hand, and just second ferment for a few hours not the full 24 since its summertime and things ferment faster. You can use this much fruit if you want or just one piece of fruit if you want. I made these tomatoes using Caldwell’s starter. Put them in the fridge after the ferment and having been eating very small amounts ( I find them very strong in flavor) anyway today I pulled the jar out and see that about 1/3 of the liquid (brine) is frozen. Guess my fridge is too cold 🙁 Are the tomatoes safe to eat still? Yes, their ok to eat, no worries. I have a funeral for my 20 scobys every time I put them in the garden, Ha! Just kidding! What is the longest you have let you kombacha brew? I know the longer it brews the more probiotics, right! How long is too long. It is more sour can you just add juice before you server to make it taste better. I have to go on a trip and I just don’t want to loose my 40 scobys brewing. 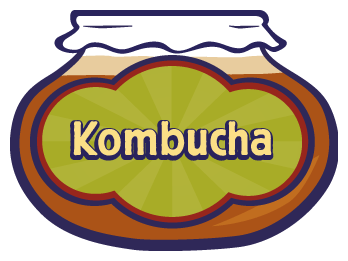 If you let kombucha brew till it gets vinegary than it has less probiotics not more. 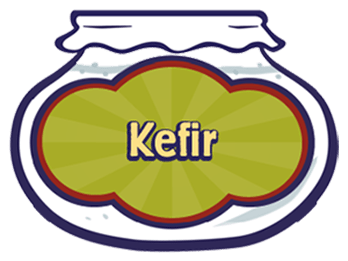 If runs out of food and gets very tart and then can’t make probiotics because it is the sugar that the culture eats that turns into probiotics. Once it gets to sour there is really no turning it back to make it taste better because it turns to vinegar. 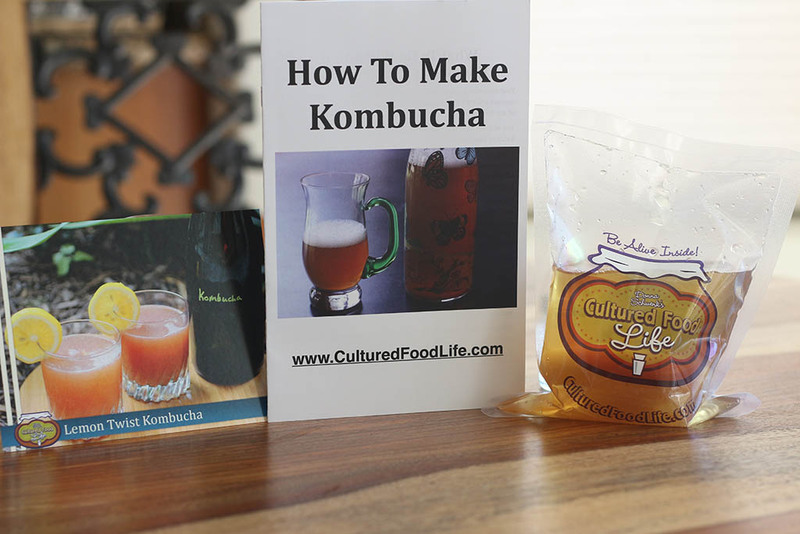 Your scobys should be fine for a week even if you brew is very tart. I have some whole cherry tomatos in my from last summer’s crop. Can I ferment them? If I thaw them first, then cut them up, they will be mushy, but I wouldn’t mind if they still tasted great. You need to use fresh ones the frozen ones would be very mushy. Yes, I would throw this out. I seem to have very little tomato even in a one quart jar! What would happen if I let the tomatoes ferment for one week? They would get really sour and a little soft. I’ve been told to avoid tomatoes due to acid reflux. Does fermenting them change their acidity enough to allow the stomach to process them differently ? Yes, it does help this quite a lot. Donna; I gave a question on your fermented tomatoes. I was told I am sensitive to tomatoes and not to eat to eat them. How does fermenting the tomatoes change their make up of nutrients and digestibility? Would this be something I would be able to include in my diet? Thank you for all you wonderful information. Fermenting predigest the food so it will greatly help with this.